Mountains feed rivers with water from snowmelt, so why not make this fall the season to head out to that most impressive of all mountain ranges, The Himalaya for a spectacular whitewater rafting trip on what can only be described as incredible journeys. 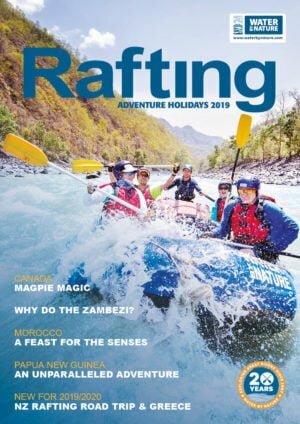 There are two main seasons for rafting in Nepal, the spring season from late February until early May and the post monsoon fall or autumn season when generally the rivers are at their biggest and the weather is at it’s best. 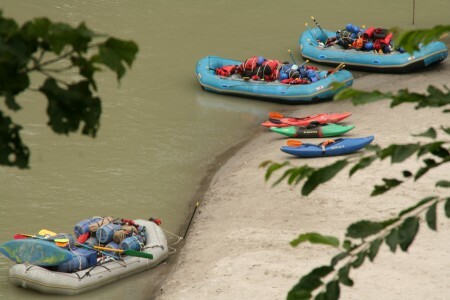 In our opinion, Nepal has three world class river trips to run from September. 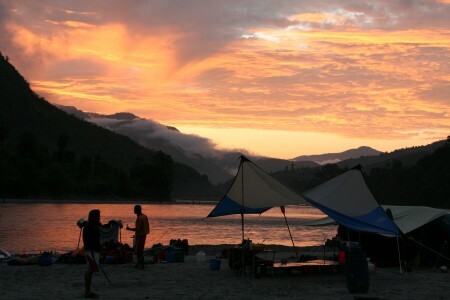 Camping on Nepali Rivers is stunning! The Sun Kosi River is the biggest volume river in Nepal, fed from the mountains in Tibet and Eastern Nepal. Many large tributaries such as the Dudh Kosi (the river from Mount Everest) feed into the Sun Kosi, which ultimately runs into the Ganges near to the Indian border. The Sun Kosi as a river trip, is fantastic. 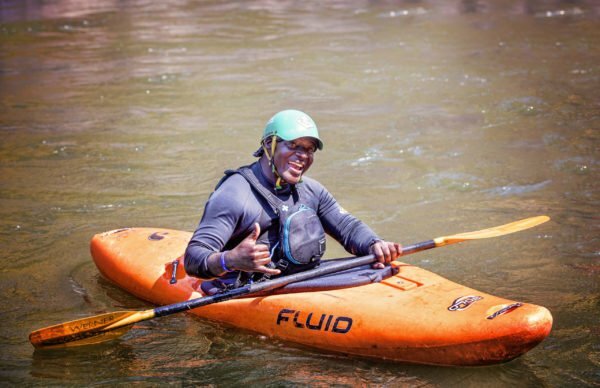 In September you will camp on post monsoon, expansive sandy beaches and experience big volume rapids every bit as big and fun as the Zambezi River. The river trip starts near Dolaghat and runs 270 kilometres down to Chatara where you can take the 24 hour bus ride back, or the short 1 hour flight back from Biratnagar to Kathmandu. Huge waves will splash down on your raft as you paddle past villages and jungle landscapes. You’ll get to stop at temples and stupas along the way; far from being just a rafting trip, it gives us access to some amazing places. 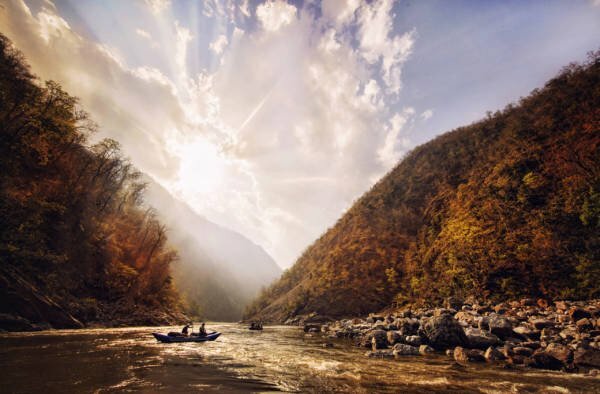 The ideal time for the Sun Kosi River is late September, early October. A tributary of the Sun Kosi River is the Tamur River set in Eastern Nepal. Everything about this trip feels like a journey. Departing from Kathamndu, guests fly to Biratnagar and then meet our rafting bus for the drive into the Himalayan foothills. We get a chance to see and stay in a unique and largely untouched area of Nepal. 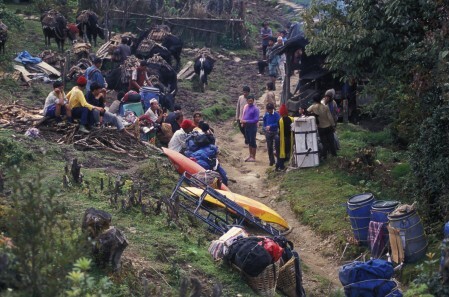 From here, we have gathered over 100 local farmers to act as porters to carry all of our rafting gear for 4 days into Dobhan, where we get our first sight of the Tamur. Immediately we get into some excellent whitewater on this river fed by Mount Kachengunga, the fourth highest mountain in the world. The beaches on this river are nothing short of stunning. 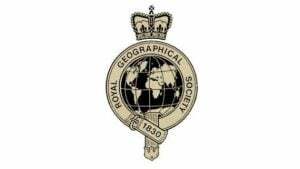 The ultimate time to run this trip if from mid October onwards after the river levels have dropped from their peak. The Karnali River is set in Western Nepal and involves a 1 hour flight from Kathmandu to Surkhet, a drive and then a stunning walk down to the river. Many years ago, this trip was very remote and involved a 2 day trek into the river, however these days logistics are far easier! 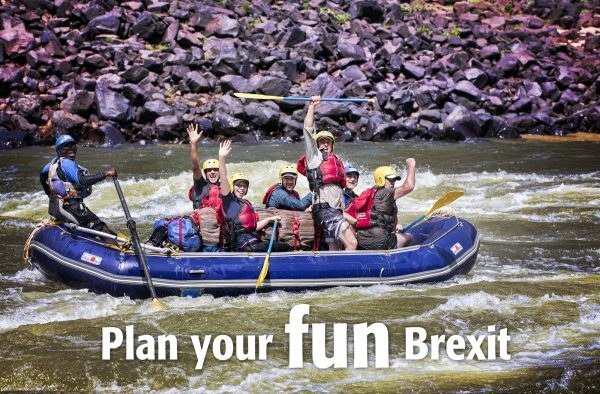 The river has stunning scenery and gorgeous rapids from start to finish. “Sweetness and Light, Jailhouse Rock, Godshouse and Freight Train” are just a few of the highlighted rapids on this trip. You’ll camp in some amazing remote beaches where you’ll get a chance to swim and relax on layover day. On occasion, mugger crocodiles have been seen along with illusive leopards. The prime time for this trip is in early May or late October. Nepal as a destination is nothing short of spectacular. Explore Kathmandu until your heart is content, with it’s history and great range of rooftop terraces to enjoy a beer or lassi. Nepali people are incredibly kind and generous and will make it a point of welcoming you into their wonderful country. Cold water this is not. 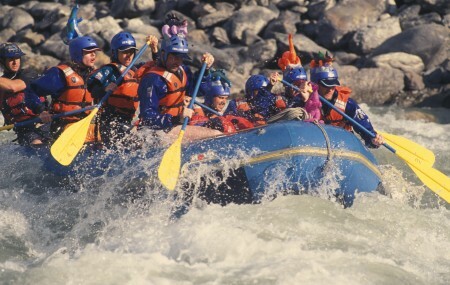 Experience some of the best whitewater rafting in the world, Nepal style!